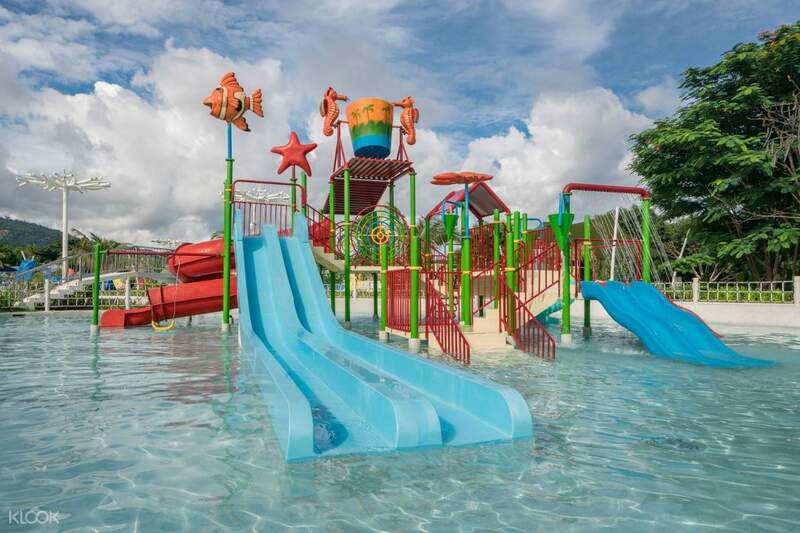 Slide and splash at Puerto Princesa's first and only waterpark destination in Palawan Waterpark! spent 6 hours at the waterpark. my kids enjoyed every minute of it! especially on the different slides. the buffet lunch was the best - simply delicious! highlight was the soft ice cream. afternoon merienda ended the day with a good note - with the best tasting ube bibingka ever! Sneak in a day or two on your Palawan vacation for energizing water activities you can only experience at Palawan Waterpark. 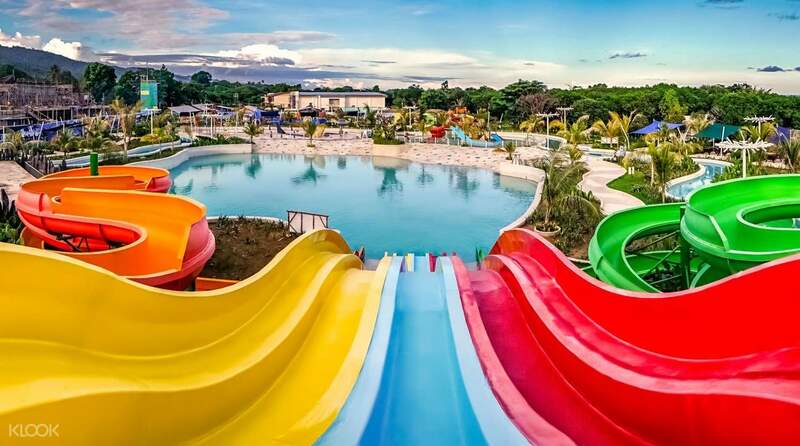 Built by Astoria Palawan, a resort conglomerate with a slew of operations in the country, the latest aquatic attraction in the region boasts world-class water slides spawning the most exhilarating twists and turns to spice up your stay in the tropical island. Skip your relaxation time and get your dose of adrenaline by conquering the towering, speeding slides in the Velocity and Vortex Slides. If you're looking into a different kind of plunge, dive into the crashing waves at the Surf's Up Pool. Bring your kids over to the Tumbling Buckets Zone for a quality bonding time with the family or challenge your friends passing through the Batak Misters. Soak up the sun and laze around on a floatie at the St. Paul River Ride as you recharge your energies for more thrilling adventures in the water wonderland. Complete with a delicious buffet lunch of local fares and international favorites that will leave you wanting more. Book your tickets now and enjoy an amazing summer in the heart of Puerto Princesa! 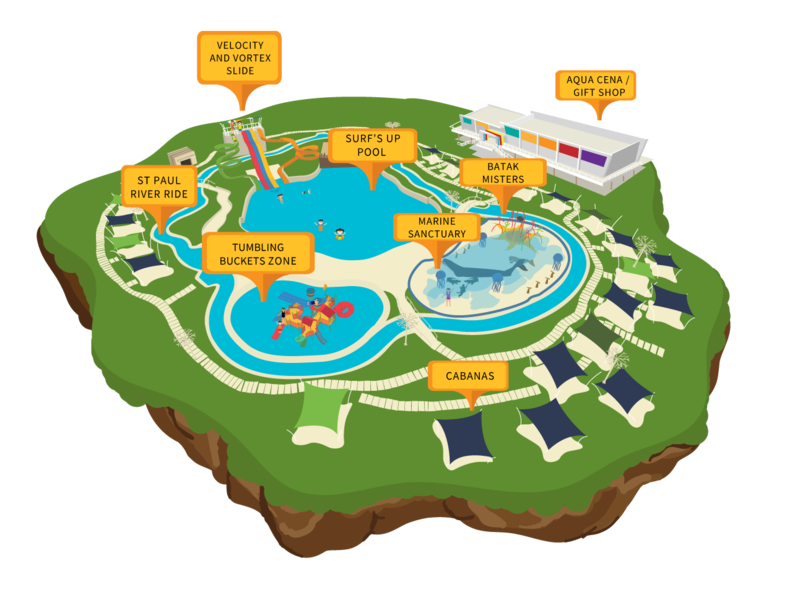 Velocity and Vortex Slides: If you want a straight and fun splash down the waters, then conquer our majestic Velocity Slides. But if you prefer to go through thrilling twists and turns, then our Vortex Slides are perfect for you! Batak Misters: Enjoy getting sprayed with water as you pass from one colorful pillar to another! Marine Sanctuary: This part of the waterpark showcases stunning sculptures of Palawan’s endemic fauna. 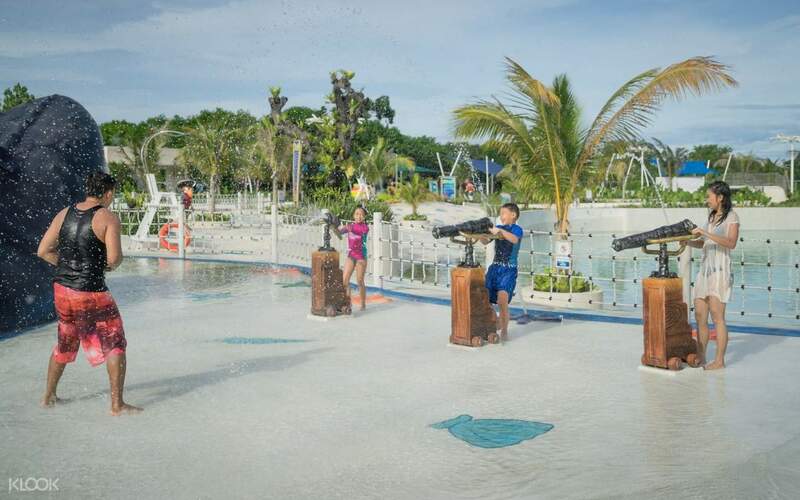 Statues of crocodiles, the endangered Dugong, and the blue whale are sure to make splashing around an even more interesting experience! spent 6 hours at the waterpark. my kids enjoyed every minute of it! especially on the different slides. the buffet lunch was the best - simply delicious! highlight was the soft ice cream. afternoon merienda ended the day with a good note - with the best tasting ube bibingka ever! spent 6 hours at the waterpark. my kids enjoyed every minute of it! especially on the different slides. the buffet lunch was the best - simply delicious! highlight was the soft ice cream. afternoon merienda ended the day with a good note - with the best tasting ube bibingka ever!